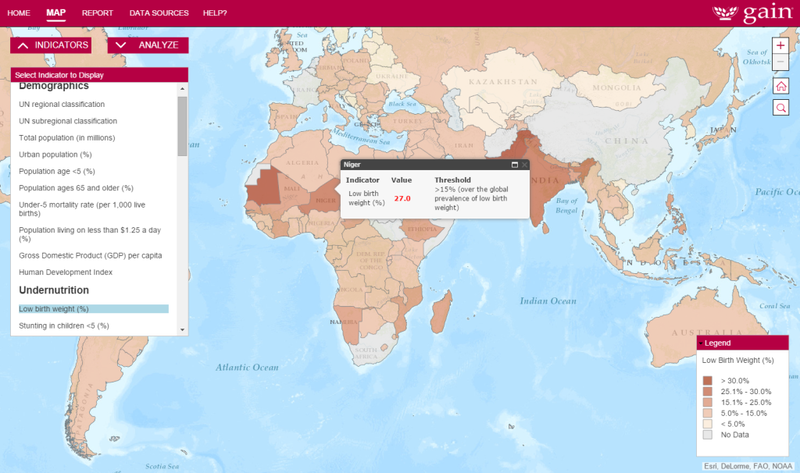 Blue Raster recently worked with the Global Alliance for Improved Nutrition (GAIN) to build a mapping application to highlight the multiple burdens of malnutrition in low, middle and high-income countries. This is a contribution to the growing research on the issue of the double/multiple burden of malnutrition globally. The interactive map transforms extensive tabular data from various resources into rich geographic visualizations, bringing the data to life in ways not possible in traditional reports. Cloud-based ArcGIS Online powers the interactive mapping. For rapid performance, Blue Raster leveraged ArcGIS Desktop to symbolize and tile the data, and ArcGIS Online to host and serve the tiled layers and feature services. Users can explore and understand the underlying data by selecting multiple variables simultaneously and viewing countries exceeding thresholds or missing data. 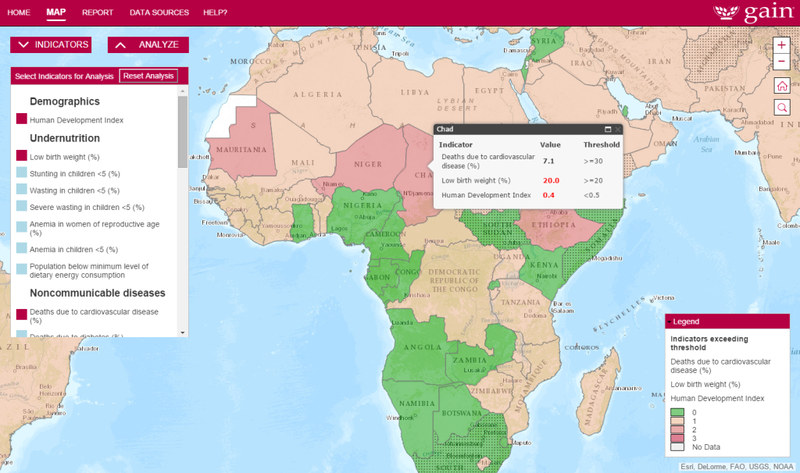 GAIN’s mapping tool is helping deliver a better understanding of the burdens faced by countries suffering from malnutrition. It provides new geographic insight and analytical capabilities, and will lead to better decisions on how to help the most vulnerable of the global population. Visit the site, and see how Blue Raster helped GAIN move from static reports to a powerful advocacy tool.